This post has been authored by Lisa S. Larsen, PsyD as part of our guest post series. Learn more about Lisa at the bottom of this post. There are very few things I do as a psychologist that satisfy me more than helping someone break free from painful events in their past. I do this primarily with Eye Movement Desensitization and Reprocessing (EMDR) Therapy. This type of therapy helps people re-consolidate painful memories or “stuck” experiences from the past so they can release the emotional upset from the memory. As the EMDR Institute’s website states, “Shapiro’s (2001) Adaptive Information Processing model posits that EMDR therapy facilitates the accessing and processing of traumatic memories and other adverse life experience to bring these to an adaptive resolution.” What I have observed is that after completing EMDR therapy, many people find it hard to get upset about traumatic past events. Their behaviors, thoughts and feelings are no longer preoccupied and dominated by the negative event. This form of psychotherapy not only offers great resolutions for traumatic memories, but it also provides relief from other negative life events that may leave lasting impacts on individuals. I have used it with anxiety, self-destructive habits, depressive thoughts, and traumatic grief as well. Better still, EMDR Therapy can help strengthen coping mechanisms in situations where individuals previously experienced fear or failure. For example, with a fear of driving (which many people with Panic Disorder develop), I can both neutralize the past experiences of panic while driving and help my clients drive calmly in the present and future. I have them imagine themselves driving and administering bilateral stimulation (which I will talk more about below). As therapists who have taken the training know, there are many steps to EMDR therapy. To help you gain a better understanding of the process, the following section provides a brief description of these many steps. First, therapists take a detailed history of the person’s life. 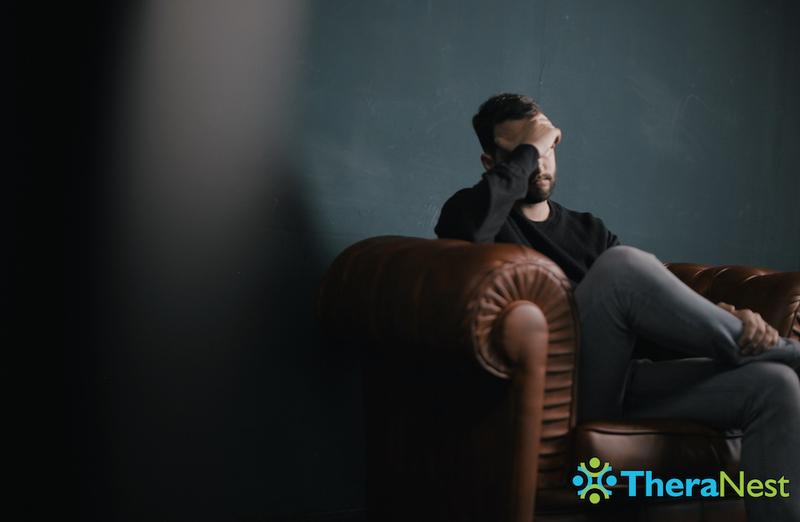 The therapist pays particular attention to problematic events like abuse, neglect, illnesses, injuries, surgeries, and other experiences that might overwhelm an individual. History-taking allows the therapist to develop a treatment plan and create what are called “targets” for reprocessing. As therapists we need to ensure that the client has adequate internal resources to handle reprocessing. Sometimes the therapist installs positive memories and experiences using bilateral stimulation. Applying sound, touch or moving the eyes from side to side allows both sides of the brain to communicate with each other. This is the bilateral stimulation that is an important ingredient in EMDR Therapy. Other times the therapist uses other skills like Dialectical Behavioral Therapy to strengthen their capacity to handle the stress of exposure to the negative memories. When we determine that the client is ready, we develop the targets by helping the client identify what visual images, emotions, body sensations, and beliefs about themselves accompany that specific memory. It is important to have clients rate how upset they are on a scale of 0-10 before and after the reprocessing, to know if we are having the desired effect (although sometimes the distress rating goes up temporarily during the reprocessing). We also have them come up with a more adaptive self-concept and rate how strongly s/he believes that now. Then we use bilateral stimulation to briefly expose them to the memory as their minds reprocesses it adaptively. At the end, we check in to see how they are feeling. We then ask them to track any new experiences that arise as a result of the therapy. Typically, once completed, most people respond that they cannot get upset about the specific memory or that they no longer even think about. After 10 years as an EMDRIA-certified EMDR Therapist, I have noticed that distinct events like being harmed, doing harm to others, or being in an accident are the easiest to process with EMDR because these memories are distinct and often sharply painful. Sometimes, however, the event is complicated and takes more time to work on. Traumatic grief is one of those phenomena that is very satisfying to resolve but can also be tricky because there can be “blocking beliefs,” or impediments to resolving the grief in a straightforward way. Traumatic grief is different from regular grief in that it usually involves some sort of complication that makes it harder to resolve and move through. People who lose a loved one to suicide or a socially stigmatized illness, for example, can experience traumatic grief. A person might feel alone and isolated because they cannot talk about their pain to others without judgment or consternation. Sudden or abrupt deaths can also trigger traumatic grief in people. Similarly, losing a loved one to a violent or accidental death, wherein there is no preparation or warning, can also plunge someone into traumatic grief. Traumatic grief tends to last longer and feel more dreadful than regular grief (which in itself can be very painful). There is also a lot of overlap with traumatic grief and PTSD, especially with unexpected deaths. Other anxiety disorders may develop in addition to traumatic grief such as Panic Disorder and Generalized Anxiety Disorder. I’ve worked with many people who develop fear or panic when they encounter someone or something that reminds them of their loved ones passing. However, they are not constantly in a state of panic, which distinguishes their experience from that of someone with panic disorder. I have also seen people develop an unhealthy preoccupation with safety and health concerns in response to traumatic grief; they may feel that their loved ones are in danger of dying the same way as the deceased died. They may also perceive that they are in danger, leading to increased anxiety. Some mourners with traumatic grief may resort to substance abuse to avoid thinking about the death or the deceased. This may be an effort to manage the helplessness and anxiety they feel. In some rare cases, traumatic grief mourners can experience transient, mild psychosis. The goals of treatment of traumatic grief are to not only help the person pass through the normal grief process but also to resolve the traumatic aspect of it. Some complicating factors in using EMDR Therapy with traumatic grief include guilt. People may feel guilty about moving on or imagining their lives without the deceased. They might believe that it is selfish or wrong to have a happy life after the death of their loved one. These ideas can also be targets for EMDR Therapy, because sometimes there is a split between what the rational mind “knows” and what the heart believes. 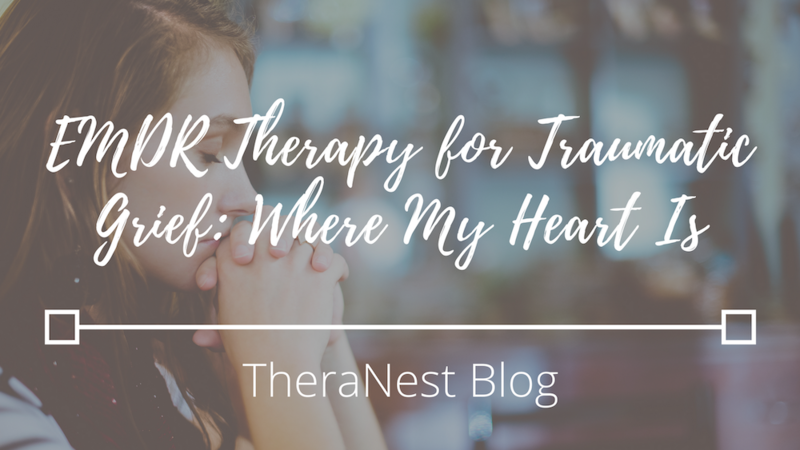 Simply addressing it in a cognitive way may not yield much change, but I have found that EMDR therapy is very good for helping to integrate what the mind and heart experience. I also pay attention to the person’s attachment style, since this influences how people process grief and trauma. Someone who had an insecure attachment to their caregiver may have a harder time accepting loss than those who had secure attachments. I have found that helping clients find resources on secure attachment can be useful in preparing them for the desensitization phase of treatment. For example, the standard “safe person” resource installation can be useful, but might not be enough. Sometimes there are not enough safe people or places in a person’s memory bank, and we have to get creative. If all else fails, use of the imagination and popular culture can help strengthen a person’s sense of security and belonging. Spiritual figures and experiences can also be a beautiful way to enhance that sense. 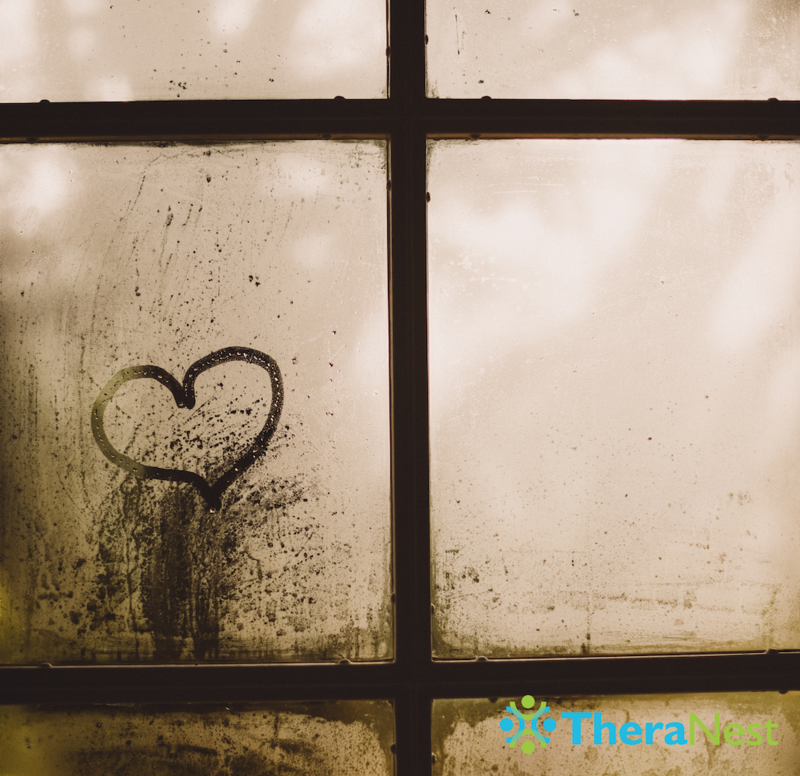 By helping individuals finally release the unnecessary and especially painful parts of grief that are associated with traumatic grief, EMDR Therapy allows individuals to regain a sense of normalcy in their lives. People often say they can finally imagine living without the person they have lost, while also realizing that they hold within their minds and hearts a representation of that person always. This is the best of both worlds, in my opinion. To have an ongoing, realistic, and healthy connection to the lost loved one, while still being able to enjoy and participate fully in life – what a win-win! That is one of the many times in my work when my heart sings and makes me glad I am a psychotherapist. 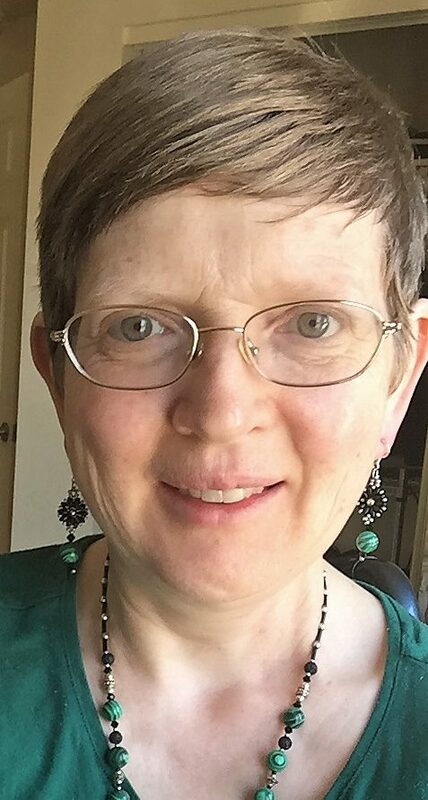 California who specializes in trauma, grief, chronic illnesses, and enhancing self-acceptance in her clients. In private practice since 2004, she has helped individual adults, children, and adolescents, as well as families, move past painful and difficult events in their lives so they could enjoy life and have a better relationship with themselves and others. Prior to that, she worked in agencies and drug and alcohol abuse programs in the San Francisco Bay Area. She moved to Lancaster in 2009 and has been joyfully serving her community there since. She also helps people in California online through HIPAA-compliant video therapy. If you would like to learn more about Dr. Larsen’s work in psychotherapy, please visit http://www.lisaslarsen.com; for life coaching focusing on mind-body-spirit connection, please visit http://selfacceptancenow.com.